The Gray's Wild Adventures: Day 33 - We love our GPS!!! Day 33 - We love our GPS!!! The morning started very early as Joshua crept into our room at 6:30am claiming he'd been up since 6am and just couldn't get back to sleep - he was just too excited :) It didn't take long until everyone was up, getting the truck packed & us all out the door. 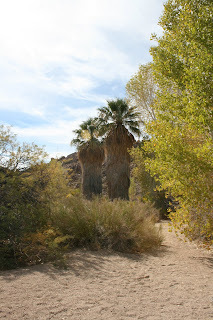 We left Havasu around 10am and drove to Joshua Tree National Park where we stopped for a short hike. Unfortunately we entered the park from the south end and all the Joshua trees are in the northern part of the park; however, the rock structure was really unique and interesting to see. We might return across the north end of the park so we can see the trees on our way home. It was in the high 30s again today, however, when we got to Anaheim the temperature had dropped down to about 23C (coastal weather for you :)) and we were surprised at how chilly we all were! Our hotel is right across the street from Disneyland and we were able to watch the fireworks from our room tonight. The kids are so excited for tomorrow! The American's seem to really like us, they've already named a park after Josh! We know what happened to Lot's wife, who were these three? Path leading down to an old goldmine mill. Worth its weight in gold, even at today's prices! Day 46 - Enjoying Havasu again. Day 41 - Off to Vegas! Day 40 - 2 months until Christmas! Day 36 Back at Disneyland. Day 32 - Officially a month today! Day 30 & Day 31 - Daddy's back home!! Day 29 - a yummy new treat! Day 26 - A lost tooth... and balance! Day 25 - Megan Here Again!!! Day 24 - a mishmash of photos. Day 23 - Creatures in the Backyard! Day 19 A day of rest. Day 16 - More photos from Yesterday!